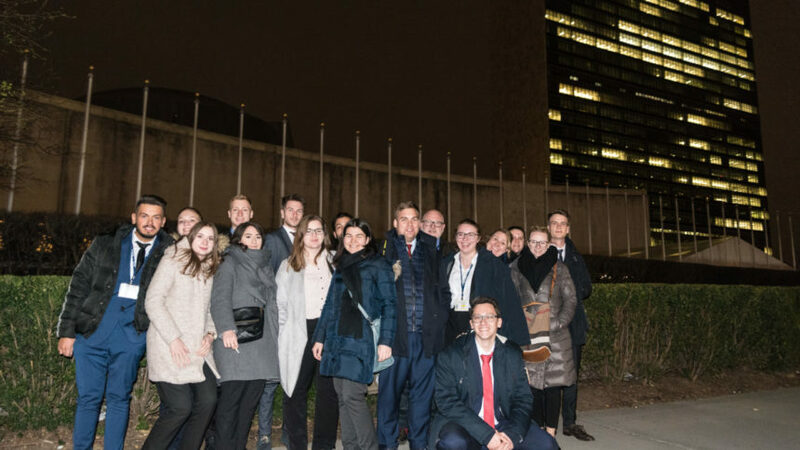 From 24th to 28th of March 2019 students from the Westphalian University of Applied Sciences were taking part at the National Model United Nations in New York City. Their preperation which took almost one year were rewarded with an “Distinguish Delegation Award”. This year the participants were representing the Islamic Republic of Iran. Since in the years before our delegation was joint by co-delegates from the Kobe City University of Foreign Studies from Japan. For a few years were working together with them at the NMUN conference. 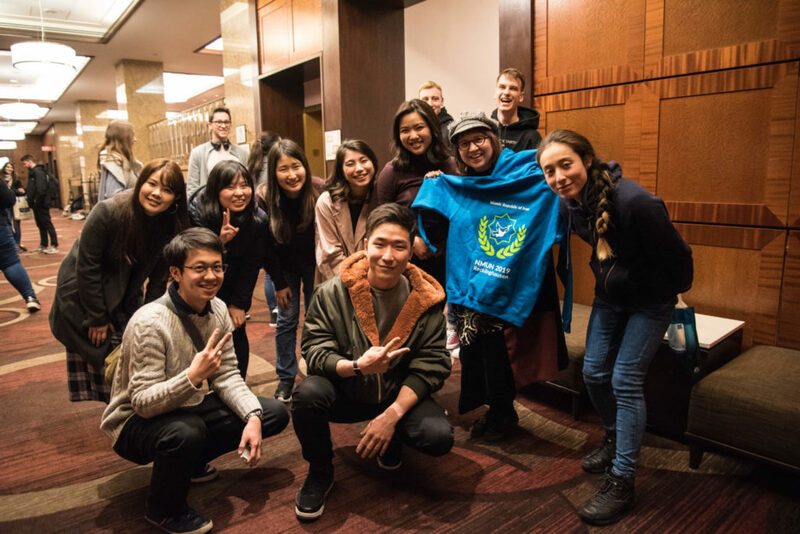 It is always a special moment when the students from both Universities meet for the first time. The first meet as strangers, become great co-workers and often leave the big apple as friends. An multicultural experience we won’t miss. 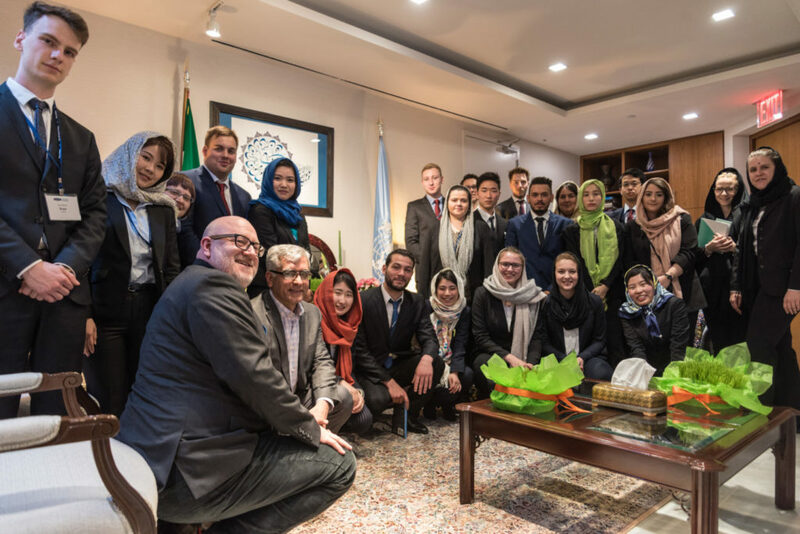 Before the conference really started, we were invited by the Permant Mission to the UN of the Islamic Republic of Iran. A great honour and great hospitality brought to us by Nabi Sonboli (Counselor) and Khodadada Seifi Pargou (First Counselor). They were spending almost 2 hours of their precious time to give us an deeper view of Iran and answer our questions in an open Q and A. It doesn’t need much time to experience first-hand how hard the work on a common goal is, when there are so many member states present and handing in their own opinion and ideas. The fact to represent Iran, which we have applied before, was as we did expect it: Challenging but Exhausting as well! The fact we were very well prepared made it possible to become penholder for different working groups in several committees. Topics we were discussing about were diversified: Preventing Microplastics, strengthen the rights of women and kids, regulating nuclear disarmament … just to mention a few. After long working days and sleepless night strong resolutions were adopted which included the opion of Iran, which we had to endeavor for during these days. Entering the General Assembly hall at the UN headquarter was a magical moment. Sitting right there in the room where world politics actually happen was a once-in-a-lifetime experience for all delegates. Our delegate Luis had the honour to adress a short speech about the importance of the Substainable development goals to the audience. Well choosen words! The closing ceremony took part in a ballroom of the Sheraton Times Square hotel. During the emotional last words before our journey ended, our delegation was awarded as “Distinguish Delegation”. This honour is only granted to a few of the students, which came this year from more than 125 universities and more than 100 countries. Absolutely right that we celebrated our joint success at the evening at a Thai restaurant in Midtown. Do you want to be part of NMUN2020? The online application form for next years’ delegation is available now. 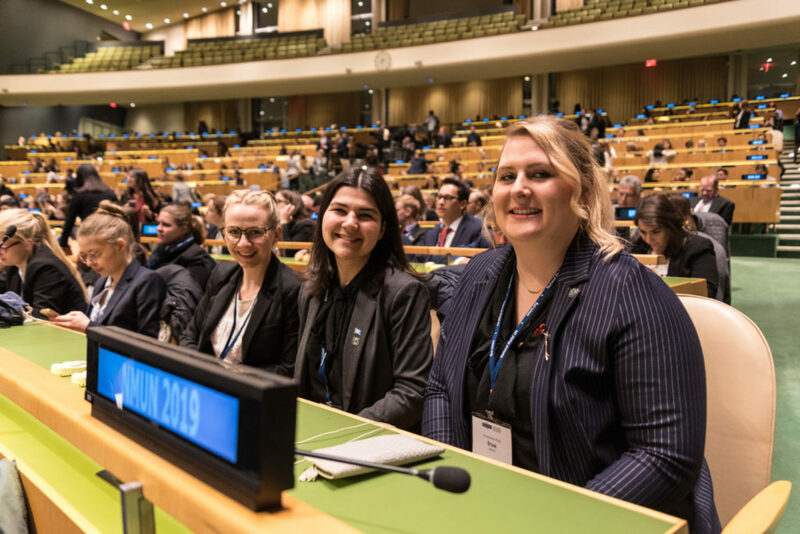 If you are studying at the Westphalian University, check out this link and maybe you will become a member of our next NMUN adventure in 2020. 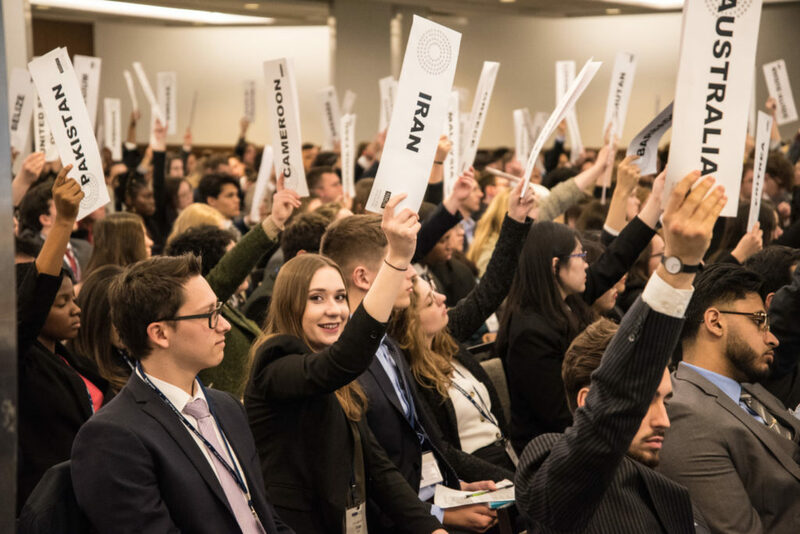 ← Previous Previous post: Berlin and GerMUN: Our final steps to NMUN2019!